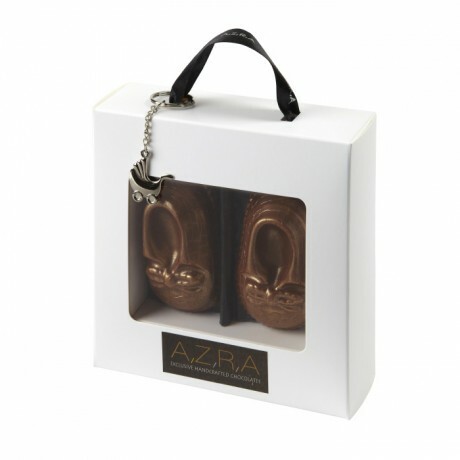 These gorgeous handmade, solid chocolate baby shoes make the perfect gift to announce the birth of baby, baby shower gift, Christening and for mum-to- be. The Chocolate shoes are made from milk chocolate, finished with a handcrafted croc effect, brushed with edible gold luster dust and packaged in a simple but elegant gift box complete with a keepsake baby key ring. 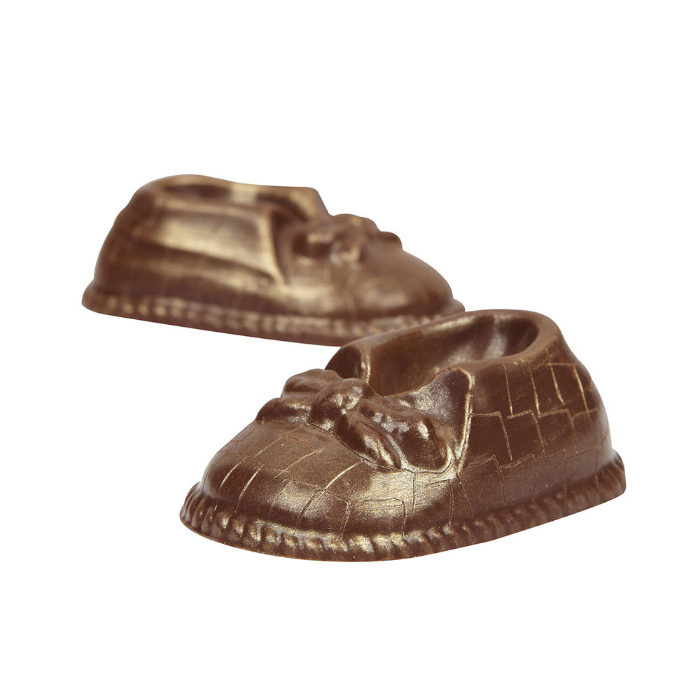 Milk chocolate min cocoa solids 33.6%, min milk solids 20.8% Sugar, cocoa butter, whole (MILK) powder, emulsifier, (SOYA) lecithin, natural vanilla flavouring. EDIBLE LUSTRE DUST: E555 Potassium Aluminium Silicate, E171 titanium dioxide, E172 iron oxide.